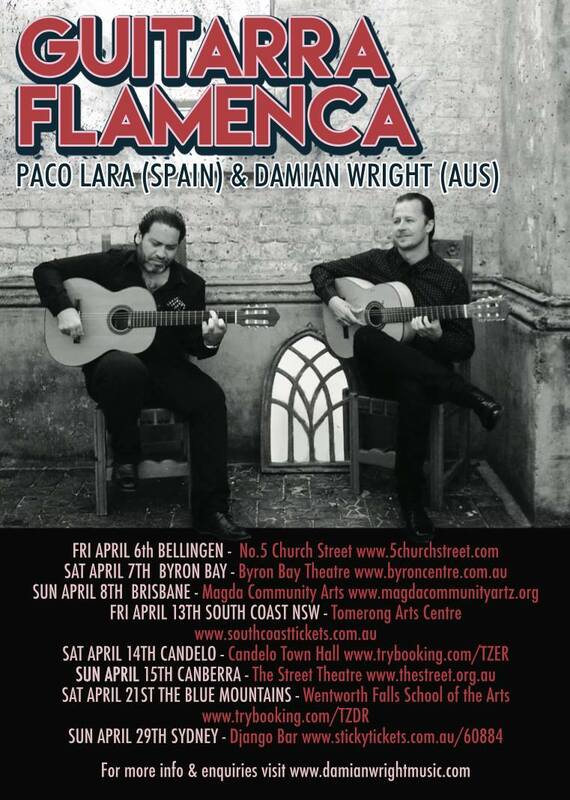 Canberra Classical Guitar Society | News and events of the region's classical guitar scene. Z.o.o guitar duo – a long-time favourite with Canberra audiences, Canberra Classical Guitar Society is happy to present Z.o.o. guitar duo in recital at the Wesley Music Centre, as part of their Australian tour. A specially selected programme reflects their experiences of having left Australia for Europe some 20 years ago. A story of change, innovation, triumphs and challenges, and above all: music! Two musicians (Peter Constant and Marion Schaap) with a story to tell. Attractive, colourful and varied compositions from Australia, Holland and Estonia, also featured will be the music of Ferdinand Rebay: an Austrian composer who disappeared from the history books during WWII, and whose many recently re-discovered late-Romantic guitar works are a revelation! Presented by Canberra Classical Guitar Society. Email canberraguitar@gmail.com for more information or ring 0403 640 669. Book online at www.trybooking.com/YQMV or at the door from 6pm. A $30; C $20; CCGS members $20; Student 12-25 $15; U-12 $5; Family of four $60. Presented by Canberra Classical Guitar Society. Email canberraguitar@gmail.com for more information or ring 0403 640 669. Kim Myhr is one of the leading voices of the Norwegian experimental music scene, both as a composer and guitarist. Myhr’s solo music can be described as an orchestral exploration of the 12-string guitar. He has released three solo records, ‘All Your Limbs Singing’ (2014), ‘Bloom’ (2016), and ‘You | Me’ (2017). The new release features contributions from drummers Tony Buck (The Necks), Hans Hulbækmo (Atomic) and Ingar Zach, and has received widespread critical acclaim. ‘You | Me’ also received an honourable mention at Nordic Music Prize 2018. The jury stated: “This is a sonically adventurous record, beautifully listenable and immersive but never wilfully difficult, spanning both the sound worlds of contemporary jazz guitar and modern classical music”. Myhr is an active composer, writing for chamber ensembles, electroacoustic settings and various theatrical projects. He is premiering a new work for Australian Art Orchestra at Melbourne Jazz Festival this June, and has been performing regularly in Australia the last ten years. Available at the door, or online at eventbrite. Saturday 18 August 3.00pm and 6.00pm. Choose from one of two concerts on August 18th. Either a 3pm Afternoon Tea Matinee or a 6pm Champagne Evening Recital. Hear this exciting musical collaboration as Matt Withers & Acacia Quartet bring you the very best Australian music. Imaginations: the world premiere tour of stunning new works by esteemed Sydney composer Richard Charlton, winning composers of the Matt Withers Australian Music Composition and more! This is your unique opportunity to hear the dynamic virtuosity of the combined forces of Acacia Quartet and Matt Withers in this dazzling collaboration. In just eight years Acacia Quartet has won great respect for their versatile and inventive programs which couple established repertoire with the unorthodox. Matt Withers – Australian Guitarist, is an ambassador for Australian music, a well-established classical guitar pedagogue, performer and role model for musicians around Australia. Each of their multiple recordings regularly feature on the likes of ABC Classic FM and in the Top-Ten Classical iTunes Charts and together, their collaboration of guitar and string quartet has garnered excitement and hype across the country. Their ‘Imaginations’ tour program will soon be recorded and licenced for digital distribution by ABC Classics. Bookings essential. To book you place and buy tickets click here. Internationally renowned musicians Karin Schuapp and Umberto Clerici first shared a stage as part of the 2015 Musica Viva Festival, where the combination of guitar and cello proved a major hit. Available at the door or online at The Street Theatre website. “Back by popular demand, ‘Rumsey & Friends‘ presents another highly-entertaining evening of music-making! These three well-seasoned musicians will present a selection of exciting clarinet, piano and guitar repertoire! Andrew returns from his 10-month performance tour of the USA, Canada and Spain to join forces with the charismatic, Canberra-based clarinet virtuoso, Thomas Azoury and the charming, sensitive guitar-whisperer, Ciaran Edwards-McKeown. Being friends and colleagues for nearly a decade, together they bring a tangible level of electricity and ‘Joie de Vivre’ to the stage. Sandwiched between pieces will be inspiring, embarrassing and unfortunate tales of events and happenings from their careers thus far! Get a glimpse into the joy, calamity and sheer irony that befalls some musicians! BOOKING ESSENTIAL: Limited seating for 60 guests in a lovely home with a performance space and comfortable seating. The performance will begin at 6:00pm and will be followed by a beautiful dinner and drinks (provided) and a chance to mingle. 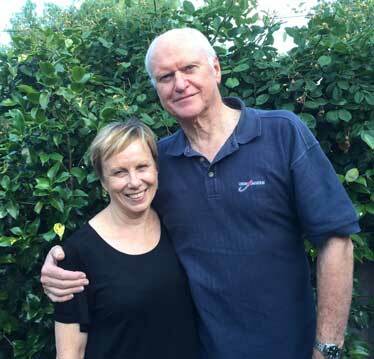 Hosts Bill and Libby want to offer opportunities for Canberra audiences to share their passion for classical music. The residence is on a battle-axe block with limited parking. Guests are advises to park on Cedrela Place and enter via a footpath at the front of the house. The residence is on a battle-axe block with limited parking. Guests are advised to park on Cedrela Place and enter via a footpath at the front of the house. (Directions and map). Online bookings close at 12pm Friday 11th of May to allow for catering planning. The performance starts promptly at 6pm; please plan accordingly. Book online at Eventbrite. Contact Details: Andrew Rumsey 0413 340 248 or Bill McIntyre 0407 930 717.